A Facebook page by the name of 'Chocolate Milk Mommies of Birmingham' educates and encourages young mothers on the importance of breastfeeding. These pictures do the talking! 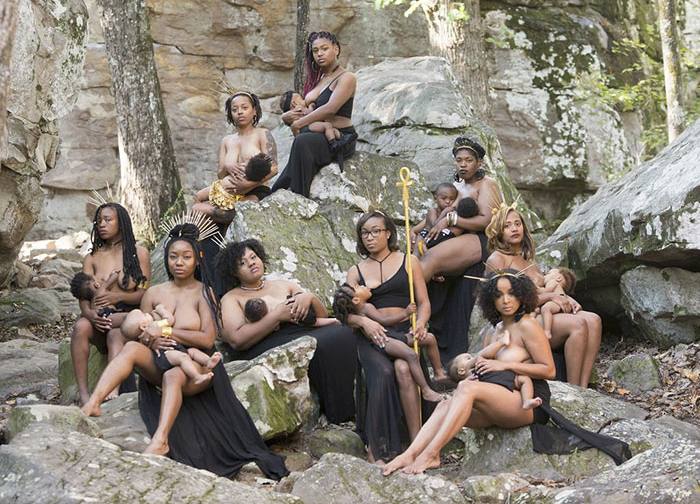 Recently, photographer Lakisha Cohill's attention landed on a Facebook page called 'Chocolate Milk Mommies of Birmingham. 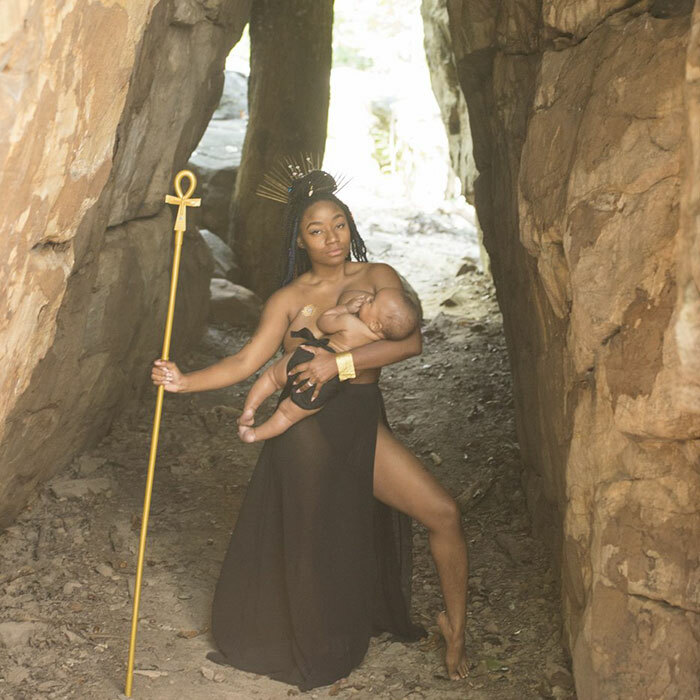 This page is all about embracing women of color who choose to breastfeed their child out in the open. 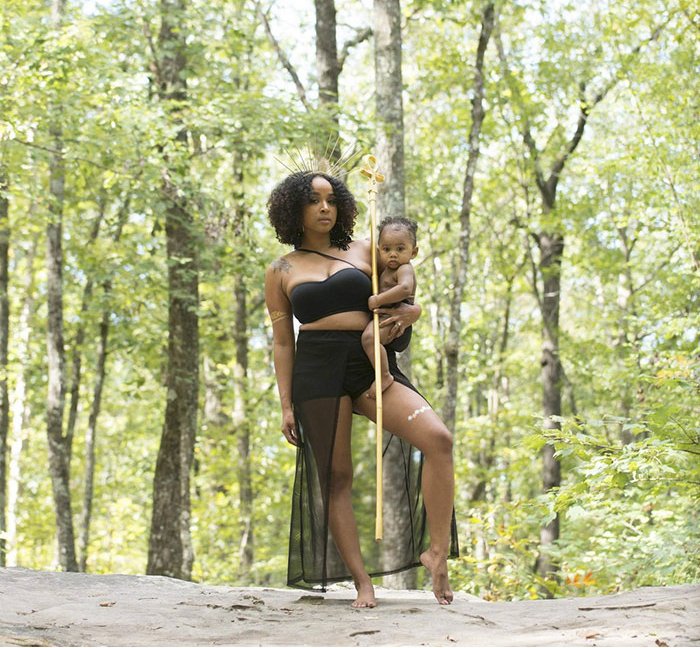 Lakisha wanted to capture these pure and natural moments of these mothers feeding their children outdoors. She decided to help them out by clicking pictures and letting others know that they indeed have an option. During an interview, Lakisha stressed on the importance of breastfeeding and why the choice should be left up to the mother. This is a movement that changes lives drastically and it did the same for Lakisha. Unfortunately, due to the lack of knowledge and support, she didn't choose to breastfeed her child which she regrets deeply. After speaking to these strong women Lakisha was convinced about the importance of nursing one's own child naturally. These women have successfully created a community consisting of mothers who breastfeed and have taken it upon themselves to support and educate others about the process. Since years women have been given limited freedom and a list of instructions as to what they can and cannot do. But it's high time that things change for the best. They decided to quit the original script that laid out all the instructions for them. This photoshoot is all about creating their own script, an original story based on their personal experiences and not based on what they are asked to be like. 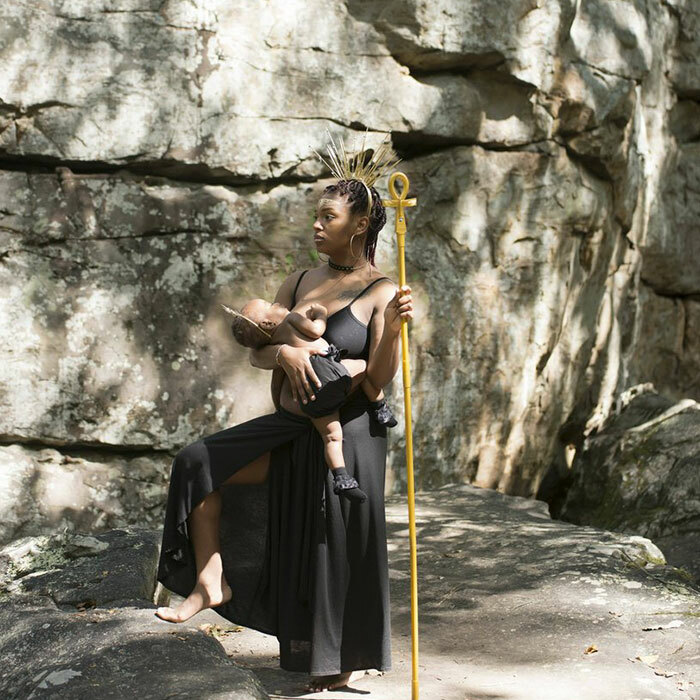 The main objective for Lakisha was to create a picture in the minds of people that breastfeeding is normal and it's far from being a taboo. These photographs are supposed to be statements that courage others as well. In an interview with Popsugar Lakisha said, "Being a part of this movement has been life-changing. I didn’t breastfeed due to lack of knowledge and support. These amazing women have convinced me why it’s so important to nurse your children naturally and have created a community specifically to give knowledge and support to moms who breastfeed. Each of these women represents a [rewritten] chapter of the story of our history. For as long as I can remember, women (particularly women of color) have been given a script on what they should or shouldn’t be doing, so we decided to drop the original script and create our stories based off who we are [and] not who we’re told to be."